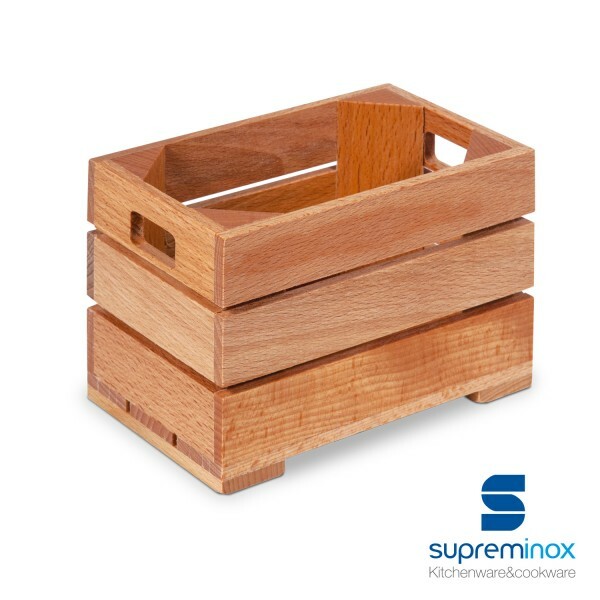 These mini wooden crates are ideal for appetizers and foods displays. Practical and versatile, our mini crates are great way to make your table service special. Find out more. 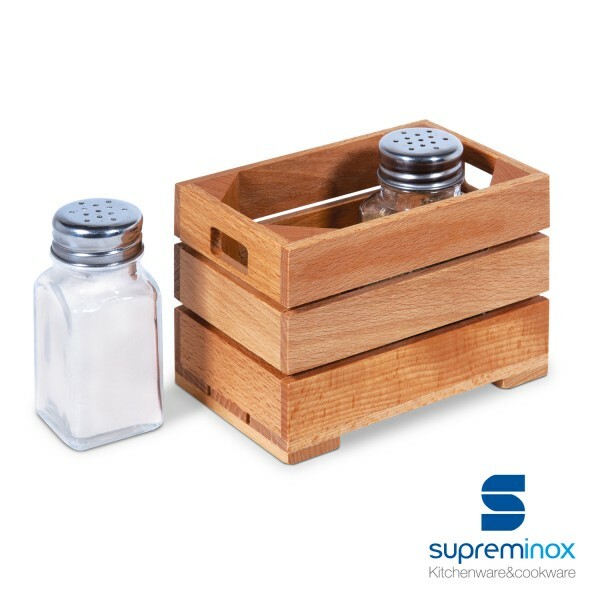 Our mini wooden fruit and veg crates are perfect to present the best of your culinary arts or as original salt and pepper shakers containers. Thanks to its compact size (12.5 x 8 x 9cm) you can either use it as an innovative dessert dishware or, in a combination with our manila greaseproof paper, to present all types of snacks and sweets. Whether you want to surprise your diners or you’re looking for an unique way how to present foods, choose our mini fruit crates designed for an original gourmet tasting. Available in two sizes: 13 x 17 x 90 cm (large) which contains 12 units per pack and 12,5 x 8 x 9 cm (small) containing 24 units per pack. Click here to order online.